Geary Kull, appointed by the Illinois Supreme Court to the countywide Dolan vacancy, but not slated by the Democratic Party for that position, will seek election in the Ninth Judicial Subcircuit. Here's a link to Kull's campaign website; the site has also been added to the Sidebar. This is not Kull's first campaign for the bench; he campaigned unsuccessfully for the countywide Durham vacancy in the 1994 primary. He was found "Qualified" for judicial service then by the Chicago Bar Association. Judge Kull's current ratings (all very favorable) are posted on his campaign website. According to a June 4, 2009 article in the Chicago Daily Law Bulletin, Kull, a lawyer since 1974, and a sole practitioner at the time of his elevation to the bench, "focused his practice on criminal law and civil rights law." Kull was in the news in 2006 when he and Daniel Coyne represented Floyd Durr, accused of the murder of 11-year old Ryan Harris. According to his website, Kull attended Queen of All Saints grammar school and Notre Dame High School (now Notre Dame College Prep) in Niles. After graduation from the University of Arizona in Tuscon, Kull returned to the Chicago area to "work full time during the day as a social worker for public aid while attending the John Marshall Law School during the evenings." After graduation, Kull began his legal career in the Public Defender's Office. Kull's website reports that, over his 35 year career, he has "litigated approximately 200 jury trials and well over 1500 bench trials." The Administrative Office of the Illinois Courts has today released the names of the 10 men and women chosen as Cook County Associate Judges. In the new judicial class are four who won't need to buy robes: William Edward Gomolinski and Demetrios George Kottaras, who were recalled to judicial service by the Illinois Supreme Court after earlier appointments expired; LaGuina Clay-Clark, who has been sitting by Supreme Court appointment to the Steele vacancy in the First Judicial Subcircuit; and William Richard Jackson, Jr., who was appointed to the countywide Riley vacancy but was not chosen for a seat by the Democratic Party when it recently set its slate. The other six new associate judges are Carmen Kathleen Aguilar, pictured at left, who made an unsuccessful bid for a 4th Subcircuit seat in 2008; Clarence Lewis Burch, who headed up the defense team of Juan Luna, who was convicted in 2007 and sentenced to life in prison for the Brown's Chicken killings; Neil H. Cohen, also a criminal-defense attorney (and one-time chief of the of the narcotics unit in the Cook County state's attorney's office) ; Stephen James Connolly, who was 'pre-endorsed' by the Democratic Party for a judicial vacancy that never opened up in 2008; Assistant Public Defender Bernard Joseph Sarley, a member of the public defender's homicide task force and the capital litigation bar; and Jeffrey L. Warnick, of Prusik, Selby, Daley & Kezelis, P.C. Per email received from Dalila Fridi, this link to the campaign website of Linda J. Pauel, recently slated by the Cook County Democratic Party for the countywide Dolan vacancy. A link has also been added to the Sidebar. [J]udges are involved in all facets of daily life from parking tickets to adoptions, divorces and decisions with broader, societal impact. The public needs to be able to rely on the impartiality, experience and trust in the judicial system and the foundation of that trust is the judges who preside. You can still read about Pauel's slating, and the selection of the entire Cook County judicial slate, on the Chicago Sun-Times website. The link to Abdon M. Pallasch's article, "Inside the Beast: How Cook County judges are elected," is still live as of this morning. Abdon M. Pallasch has written an article about how the Cook County Democratic Party recently compiled its slate of judicial candidates. Titled, "Inside the beast: How Cook County judges are elected," the article is currently available on the Chicago Sun-Times website. It is well worth a look. Assistant Public Defender and one-time Oakland (California) public school teacher, Ann Finley Collins is planning a run in Cook County's 11th Judicial Subcircuit. There's no campaign website yet, not that I could find, but the accompanying photo is taken from Ken Trainor's article about Collins' candidacy in the August 25 issue of the Wednesday Journal of Oak Park and River Forest. Collins' campaign committee was registered this week with the Illinois State Board of Elections. Trainor's article notes that Collins is a 24-year veteran of the Public Defender's office, spending the last 12 of these on the homicide task force. Checking the Illinois State Board of Elections website, it appears that John Patrick Nyhan, an attorney with the Cook County Assessor's Office, is planning a run for judicial office. A lawyer since 1998, the March 25, 2008 Chicago Daily Law Bulletin reported that Nyhan was made "chief legal counsel for the assessor's office. He previously served as the director of the legal department and director of the special assessment programs." I have not yet been able to locate a campaign website for Mr. Nyhan. Rewritten and bumped up because of new information received. Justice Sebastian T. Patti, a Circuit Court judge who was assigned to the Appellate Court by the Supreme Court this past June. Diann Marsalek, a lawyer with the Secretary of State's Office in Chicago, who was another alternate party choice in 2008. Also of note: The Democratic Party has again "pre-endorsed" candidates for the Appellate and Circuit Courts. For the Appellate Court, the candidates waiting in the wings are Circuit Judges Jesse Reyes and Mary Rochford. For the Circuit Court, the alternates are Daniel Gallagher and Associate Judge Mathias Delort. One Additional Note: This post has been updated with current information. Deidre Baumann, of the Chicago firm of Baumann & Shuldiner, is planning a judicial bid. That's a link to her campaign website in the preceding sentence; a link has also been added in the Sidebar. 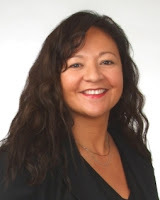 A former president of the North Suburban Bar Association (2005-06), Baumann has also been active in the Suburban Bar Coalition and is currently the chair of the judicial reception committee of the Women's Bar Association of Illinois. Baumann stresses her expertise in constitutional law on her campaign website. Baumann has served as a volunteer for the Lawyers for the Homeless Project of the Legal Assistance Foundation and for the Street Law Program. According to her campaign site, she has participated in many moot court and mock trial programs for students. She is also a member of the Board of Directors of the Lane Tech Alumni Association. Michele Smith, the Democratic Committeeman of Chicago's 43rd Ward, has written a useful summary of the methods by which a person can become a judge in Illinois. 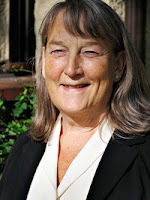 Entitled Mysteries Revealed: Becoming a Judge in Cook County, the post appeared August 27 on Smith's blog, 43rd Ward Democrats - Michele Smith Committeeman. Smith's article may be particularly useful for voters who are interested in gaining a better understanding of the Illinois judicial election process. By the end of the week, the newly-appointed judge was endorsed for a countywide judicial post by the Cook County Democratic Party. It must have been a whirlwind week indeed for John P. Callahan, Jr.
A link for the campaign website Judge Thomas V. Lyons, has been found and added to the Sidebar. Judge Lyons was endorsed this week by the Cook County Democratic Party for a countywide vacancy. He was appointed by the Illinois Supreme Court to the James P. O'Malley vacancy in August 2008. Lyons was an Assistant States Attorney from 1986 to 2005, when he joined the Nolan Law Group. Lyons' website features a link to a .pdf version of his résumé. I previously mentioned (at this post) that Joseph Chico appeared to be considering a run in Cook County's 1st Judicial Subcircuit. Mr. Chico now has a campaign website up and running. That's a link to the site in the preceding sentence; a link has also been added to the Sidebar. An attorney with his own firm, Joseph A. Chico & Associates, P.C., Chico stresses, on his website, that he has experience in real estate, family law, fair housing, personal injury, municipal code violations, probate, and pro bono Law. A 1989 graduate of the University of Illinois College of Law, Chico also graduated from St. Francis De Sales High School in Chicago. Chico's campaign website notes that he was inducted into the St. Francis De Sales Hall of Fame in 2002. Jeffrey Dov Greenspan, an attorney with the Chicago firm of Pomper & Goodman, has announced his candidacy for judge in the 9th Judicial Subcircuit. That's a link to his campaign website in the preceding sentence; a link has also been added to the Sidebar. A lawyer since 1979, Greenspan is a graduate of IIT Chicago-Kent College of Law. He holds a bachelor's degree in Economics for the College of Commerce at the University of Illinois. Greenspan has also been a Chair-qualified arbitrator for the Cook County Mandatory Arbitration program since its inception in 1990. He is a long-time resident of Skokie, where he lives with his wife and four children. Per email received, Assistant State's Attorney Thomas R. Mahoney is planning to circulate and file petitions for one or more of the open seats in Cook County's 15th Judicial Subcircuit. A 1992 graduate of John Marshall Law School, Mahoney holds a bachelor's degree in business administration and management from the University of St. Thomas in St. Paul, Minnesota. Currently, Mahoney serves as a Supervisor in the Special Prosecutions Bureau of the Gang Crimes Unit in the Cook County State's Attorney's Office. He has been with the State's Attorney's Office since 1993. Mahoney has also served as an Assistant U.S. Attorney in the Northern District of Illinois since 2000. A member of the Board of Police and Fire Commissioners of the Village of Orland Park since 2004, Mahoney has received Chicago Police Department Special Commendations in 2004 and 2009. Mahoney received the Chicago Crime Commission Star of Distinction Award in 2004 and an "Excellence in Law Enforcement Award" from the Chicago Crime Commission in 2007. He also received the United States Department of Justice Award for Public Service in 2004 and 2005. Mahoney has served as an Adjunct Professor of Law in the Trial Advocacy Program at DePaul University College of Law since 1999 and on the faculty of the National District Attorneys Association. He has frequently lectured or served as an instructor for the Chicago Police Department Education and Training Division. Mahoney reports that he has been found "qualified" for judicial service by the Chicago Bar Association and the Illinois State Bar Association and "Well Qualified," "Qualified," or "Recommended" by all of the other members of the Alliance of Bar Associations. He is a member of the Prosecutor's Bar Association and served on the Chicago Bar Association's Judicial Evaluation Committee from 2000 to 2004. Study suggests masculine names may help women get on the bench? Debra Cassens Weiss writes this week in the ABA Journal blawg, Law News Now,that, at least in South Carolina, women lawyers with masculine-sounding names have better odds of becoming a judge than their counterparts with feminine names. The authors of the study, Do Masculine Names Help Female Lawyers Become Judges? Evidence from South Carolina, Bentley Coffey, an Assistant Professor of Economics at Clemson, and Patrick McLaughlin, a Research Fellow at George Mason University, propose a "Portia Hypothesis"* for this perceived phenomenon, that "females with masculine monikers are more successful in legal careers." Success, for purposes of this study, was measured by attaining a judicial post. The paper purports to demonstrate, in Weiss' words, "that changing a woman’s name from something feminine, such as Sue, to a gender-ambiguous name such as Kelly increased the odds of becoming a South Carolina judge by about 5 percent... [while changing] the name Sue to a predominantly male name such as Cameron tripled the odds of becoming a judge, and changing it to Bruce increased the odds by a factor of five." However, South Carolina is not Illinois. In South Carolina judges are mostly "elected" by the state legislature after first passing through a merit selection commission. In Illinois, though, the evidence would seem to point in a different direction. A feminine-sounding name may actually confer some advantage on a judicial candidate; a feminine-sounding name coupled with an obviously-Irish surname seems to confer an even greater advantage. And I am not making this up, or relying solely on anecdotes. In a February 2008 post, I wrote about the work of Albert J. Klumpp, PhD, a Research Analyst with the Chicago firm of McDermott Will & Emery LLP. In addition to his published works (cited in my earlier post),** Klumpp wrote me that he'd developed "a model for analyzing primary elections" that he'd only just begun to test. Klumpp said that his tentative model "indicates that female candidates had a gender advantage of nearly 200,000 votes. That's for one female candidate running against one or more male candidates; multiple female candidates in a contest split the advantage. That compares to shifts of around 60,000 for slating, 120,000 for a sweep of superior recommendations from the Tribune, Sun-Times, CBA and CCL, and 130,000 for an Irish-name advantage." * Portia is a character in Shakespeare's The Merchant of Venice, a woman who dresses as a man to plead a case in court. Horace Rumpole referred to Phyllida Trant, later Phyllida Erskine-Brown, in the Rumpole of the Bailey books and television programs as "the Portia of our chambers." ** Klumpp has since published Arizona Judicial Retention: Three Decades of Elections and Candidates in the November 2008 issue of Arizona Attorney.